Paranoid Winter’s debut album, ‘Thaw’, is the follow-up to the group’s self-titled, six-track EP, which was released as a free podcast in late 2014 via the Paranoid Foundation website. As with the EP, ‘Thaw’ includes the vocals of Claire Norman and Cris Lee, but is a rather different proposition than their earlier work. Where the EP had a running time of just under thirteen minutes, the five tracks that make up ‘Thaw’ run to the princely total of thirty-seven minutes. ‘Thaw’ was recorded in various locations over the second half of 2014 as Cris attempted to settle back into London life on a full-time basis. As this album attests, all did not go smoothly. ‘Thaw’ is the (lucky?) thirteenth commercially-released album that Cris has produced or co-produced. Prior to recording the album, Cris had spent much of the previous three years travelling between Canterbury, Paris and the New Forest. The ‘Thaw’ sessions marked the conclusion of Cris’ doctoral studies and there is a definite ‘end of an era’ feeling to these tracks. Deciding that something was missing from ‘Thaw’s initial mixes, the newly-dubbed Dr Lee enlisted Claire’s vocal and instrumental talents. The results are impressive. The lynchpins of ‘Thaw’ are the tracks ‘Narratives’ and ‘Binary’. These two tracks are infused with a slow-burn arc of boy/girl vocalising, doom-laden reverberation, echo and analogue synthesis. As with the dub bassline and shrieking feedback of opening track ‘Presentations’, fans of Paranoid Foundation’s early, drone-based output will not be disappointed. 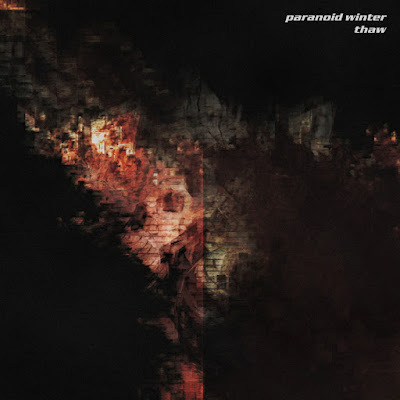 “Thaw”’s biggest surprise is the microtonal ‘Hope’, which is also Claire’s first solo track: layer after echoed layer of dissonant clarinet create one of the starkest – and most beautiful – tracks to be released by this record label in recent years. Album closer ‘Words (Fail Us)’ provides another bruising take on Claire’s solo track; this time, her wordless vocals underpin a disintegrating mass of synths, dissonant guitar and echoing bass. The package is completed by another outstanding piece of cover art from Tetsu Okada, who has designed many of Paranoid Foundation’s album covers over the years.